Representatives from DW’s America distribution are currently on hand at one of Latin America’s premier media expositions. The Tepal Expo, being held for the first time in Panama, features presentations from big names in international media including HBO Latin America, Discovery Latin America and CNN Español. Next to DW on the exposition floor are Latin American networks including the Argentinian Telefe, TuVes from Chile or TV Azteca from Mexico. Heavy hitters in Latin American distribution like Viacom, Cablevisión, Megacable and the Panamanian cable provider Cable Onda are also a few of the interesting and potential future DW partners who are at the event. You’ll find a complete list here. 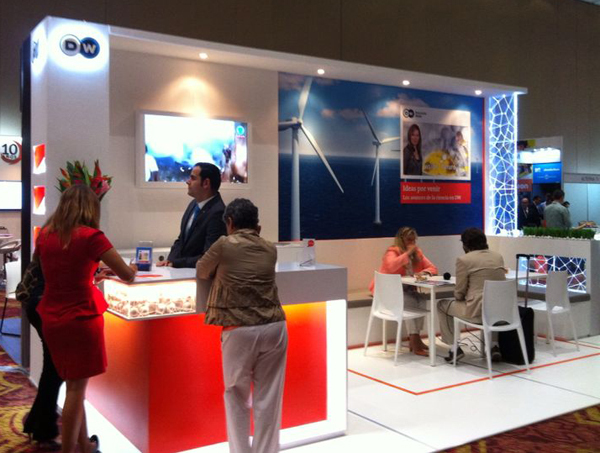 DW will be presenting the Spanish language production, Vision Futuro, at the Tepal Expo with a special focus on renewable wind energy, which is a very important issue for the development of Latin American infrastructure. DW has been steadily increasing its presence in Latin American markets, offering a full 24 hours of Spanish langauge programming every day. DW is also the only European international broadcaster represented at Tepal 2014.